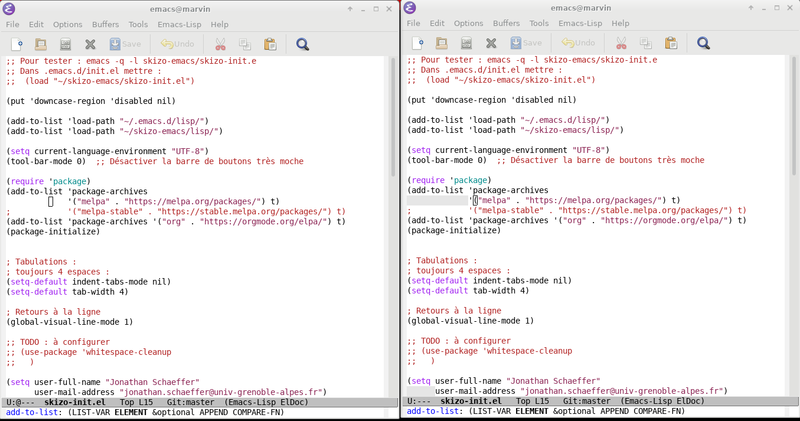 I realized that neither highlight-indentation nor highlight-indent-guides works with emacs in server/client mode. I can see that the faces are different and highlighting indentation won't be displayed with emacs client. The screenshot shows client mode on the left and standalone mode on the right. I disabled every customization to debug. Is there a bug to track down ? Do I miss a setup ? Browse other questions tagged faces highlighting server or ask your own question. Same or more powerfull as highlight-symbol?